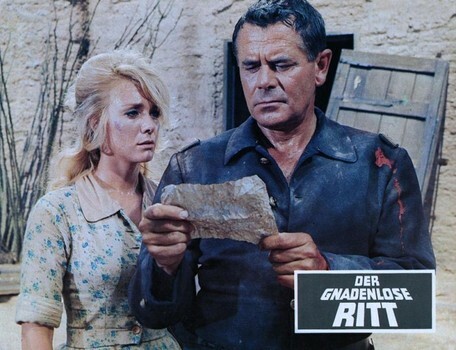 A TIME FOR KILLING, soiled upon audiences in 1967, was originally titled The Long Ride Home. Roger Corman was slated to direct, but Phil Karlson, fresh from the naughty success of The Silencers (and a few years before kicking over Hornets Nest) took on the decently budgeted ($2m) western. You could change the title from here to Venus, and replace Karlson with John Ford but with a script this bad it would still stink. Rebel prisoners escape from Union captors, out West, taking a pretty hostage along. Yankees follow. Everyone suffers. 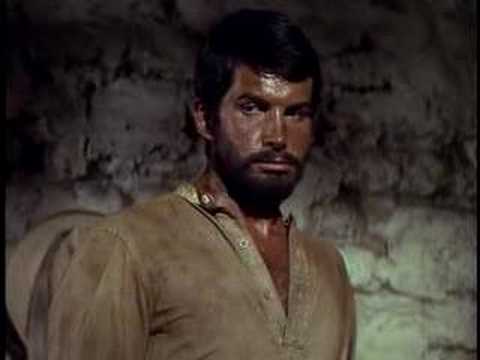 Brutish, anachronistic (hair styles suggesting the nineteen rather than eighteen sixties), confused, horribly edited, with a crummy score, totally out-of-place comic relief that’s anything but comic, and pants so tight on Rebel bad-guy-captain George Hamilton that he looks like he’s going to a disco instead a desert. They realize people might actually see this movie. Glenn Ford looks plain fed up—this was the first of five dud oaters in a row that he starred in. Inger Stevens, who gets jarringly roughed up by Hamilton (did we really need the spur raked across her back?) is wasted, in the first of four downer westerns within two years that she obliged to decorate: FireCreek, Hang ’em High and Five Card Stud are hardly worth recall, but all are better than this travesty. Paul Peterson, unleashed from The Donna Reed Show, is on hand (with little to do), and there’s Todd Armstrong (hey, where are those Argonauts? ), Kenneth Tobey, Timothy Carey, Harry Dean Stanton, Emile Meyer (so good as ‘Ryker’ in Shane, here barely able to deliver a line properly). A 25-year old Harrison Ford is one of the Yankees. Best/worst has to be Max Baer, who leaves them all in the dust, going anti-Jethro ballistic as an alternately giggling or raving lunatic-buffoon—it’s almost a cult-worthy effort, but the rest of the movie is just too excruciating to handle.